Warm congratulations to the Common Opposition, especially Maithripala Sirisena, Ranil Wickremesinghe, Chandrika Bandaranaike Kumaratunga and Mangala Samaraweera from all Sri Lankans for democracy. Through their leadership they have restored democracy to a land where many of us thought it was dead. It is good to be gentlemanly but far more important to record history correctly so that we will be ever vigilant against the forces arrayed against democracy and our freedoms. But Mr. Wickremasinghe’s spirit of reconciliation is right. There is first reconciliation with individuals. This involves the many lowly officials and soldiers who toed the line when unlawful orders were received. They are often familied people who had to worry about their jobs. We will understand the pressures under which they complied only when it happens to us. They need to be reintegrated. The signs are that the government will do the right thing; or a good part of the public service would need to be fired. But not so the brazen acts of partisanship initiated by those in high office. They need to be asked to resign or be fired. The way the Treasury Secretary and the Central Bank Governor have gone shows there will be cleansing without a witch hunt. 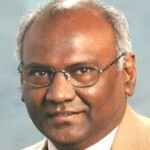 Those like the UGC Chairman and Vice Chancellor of Jaffna who tried to force academic staff to sign a political statement in favor of the president’s re-election must be fired if they do not go on their own. And quickly so; or that would signal the impunity that Sri Lankans voted so fervently against in this election. As things are, the most important institution for Tamils, the university, is being ruined by the recruitment of favourites and EPDP nominees. The academics are up in arms after a year of their ignored complaints and have announced a public meeting on the subject soon. Restoring the university to its past greatness would reach out to Tamil hearts and minds. Then there is the more important national reconciliation. I believe this is the first time that Sinhalese, Tamils, Buddhists, Hindus, Christians and Muslims have so enthusiastically voted in a government since independence. What better time than now to reconcile the minorities to the state from which we have been estranged for so long? 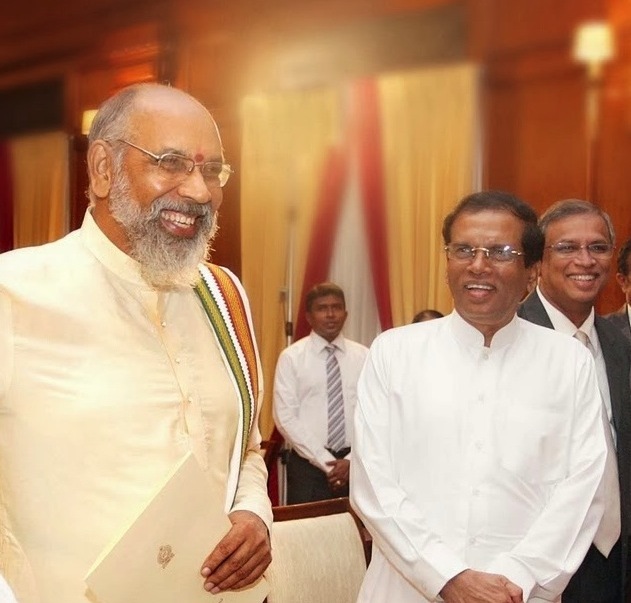 To the Tamils, there are initial first steps that I believe will soon flow from the government – restoration of improperly acquired lands which is also connected to a reduced military presence. I think when Mr. Sirisena promised in the campaign that the Army will not be withdrawn from Tamil areas he was only truthfully trying to prevent the issue from being made political capital out of, during a closely fought campaign. Everyone concedes that right of a country’s army to be stationed everywhere. The issue really is Tamils being selectively inundated by an excessive military presence where even school, church and other community functions require permission. The Rajapaksa regime had become so oppressive of Tamils that those who invited Sinhalese like Carlo Fonseka to the Commemoration function for Rajani Thiranagama (who had been murdered by the LTTE) were faulted by military intelligence for not getting their clearance. I also expect the easy things to happen – full implementation of the Thirteenth Amendment, language rights, and things already in the law. 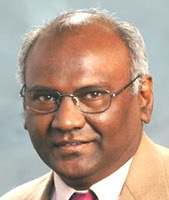 Gentlemanly treatment of minorities requires that there will be no caricature of District Development Committees which in law are chaired by the Chief Minister in other provinces, but have had presidential powers misused to have Douglas Devananda as Co-chairman with C.V. Wigneswaran in the North. Mr. Sirisena has spoken of a domestic inquiry against soldiers accused of war crimes. That is worrisome but the UNHRC will take care of the murderers. More serious things like land powers and police powers which are important to Tamils in case there is another horrible government at the center, must be addressed when there is a sympathetic government in power. I am told that we have been asked not to push for these in the first two years. My worry is the folk that see no place for Tamils and Muslims in Sri Lanka who have joined the Common Opposition. The imposition of Douglas, a man wanted for murder, on the Tamil people was one of the biggest insults to us by the last government. Now the question is this: will he be a minister again? There was a split in the EPDP as Douglas wanted to approach the opposition and his other MP Chandrakumar wanted to stay with Rajapaksa. But Douglas went ahead and approached Maithripala and it appears that his overtures were firmly rejected. Despite being told no thanks, now that the elections are over, Douglas has publicly expressed a wish to work with the government. To accept him, the government knows, is to insult the Tamil people who overwhelmingly voted for it and would dash any chance of reconciliation. At a meeting in Jaffna where opposition leaders had gone to campaign, the Tamil leadership was put the question of how the opposition should respond if Douglas offered to join. They were told very firmly not to even entertain the thought. I understand that Ranil and Chandrika are firm that they should have nothing to do with Douglas. There are severe dangers to the new hopes for reconciliation offered by the new government. There is Douglas and then there are the many people who joined the opposition not because of any democratic awakening but because they saw the writing on the wall for Rajapaksa. There is generally a view in the TNA that they must not join the government but only lend their support because of this. I respectfully disagree. To influence the government positively and against the anti-minority forces that joined the opposition, the TNA must be in cabinet to influence the discussions and decisions. Politics also involves getting and distributing goodies to the electorate. This means being in cabinet without being a yes-man for every iniquity visited on the Tamil people like saying no civilian was killed in Mullivaikal. The TNA must move beyond nationalist speech-making to learning the art of governing by looking into the basic everyday needs of the people. It is something the TNA has never done. It is time to learn by joining the cabinet.